Urolithiasis is the medical term for the presence of stones, also known as calculi or uroliths, in the urinary tract. These stones are most commonly found in the bladder, although they can also occur in the kidneys and the urethra (the tube through which urine passes out of the body). They can develop in quickly in just a few weeks, or more slowly over a few months. There are various types of stones, each with its own mineral composition. Less common are urate calculi, and rarer still are cystine and silica calculi. Symptoms depend on the number of stones, where they are located within the urinary tract, their physical characteristics (e.g. smooth or jagged), and if there is a bacterial urinary tract infection. However, be aware that many pets with urolithiasis display no symptoms. Increased concentrations of certain minerals in the urine results in oversaturation of the urine, which leads to the formation of crystals. These crystals stick together and gradually form into stones, which increase in number and size over time. Changes to the pH (acidity or alkalinity) of the urine – different types of stones will form in acidic and alkaline urine, therefore a fairly neutral pH is desirable. Bacterial bladder infections can also lead to an altered pH of the urine that can result in crystal formation. Dalmatians often don’t metabolize uric acid properly, resulting in excess uric acid in the urine, which can lead to urate uroliths. Newfoundlands and Siamese cats often have excess cystine in which can crystalize in the urine and lead to formation of stones (cysinuria). Analysis of stones that have been passed in the urine to identify their mineral composition, for example by urinary pH and microscopic examination of a urine sample. Definite diagnosis can only be made when stones are extracted and analysed to determine their chemical composition. Treatment options for urolithiasis entail removal of the stones by surgical or non-surgical means. 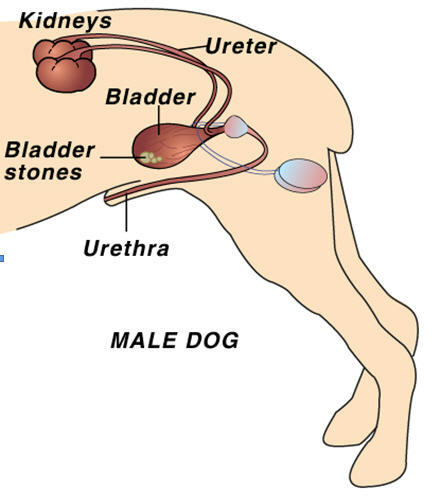 If the stones are in the urethra or tubes connecting the kidneys with the bladder, they are most likely causing obstruction and will therefore require surgical extraction. An operation is performed to remove the stones, usually if the stones are large and cannot be removed non-surgically, if there are too many stones, or if there is a risk of an obstruction. As with all surgery, there are risks involved. This is the most direct and efficient way to remove large stones. The most common surgical intervention is the a cystotomy (incision in the abdomen and bladder). For urethral obstructions, a urethrotomy (incision into the urethra) may be required. If the urethra is completely obstructed, urine backs up in the urinary tract, resulting in toxins building up in the bloodstream. This situation is life-threatening and requires immediate surgery. Oxalate uroliths generally require surgical removal, as they do not respond well to non-surgical treatment. Ultrasonically – High frequency ultrasound waves are used to break up the stones into very small pieces, which can come out of the bladder easier and less painfully. Following a special diet to dissolve and/or prevent stones, for example, avoiding carbs, treats and snacks, and eating certain specially formulated canned foods and a high protein diet. Dietary dissolution of stones is slow, taking from two weeks to five months or longer to dissolve large stones, during which time the symptoms may persist and the risk of obstruction remains. This method is not effective for all types of stones. It is most effective on struvite (the most common type), urate and cystine stones. 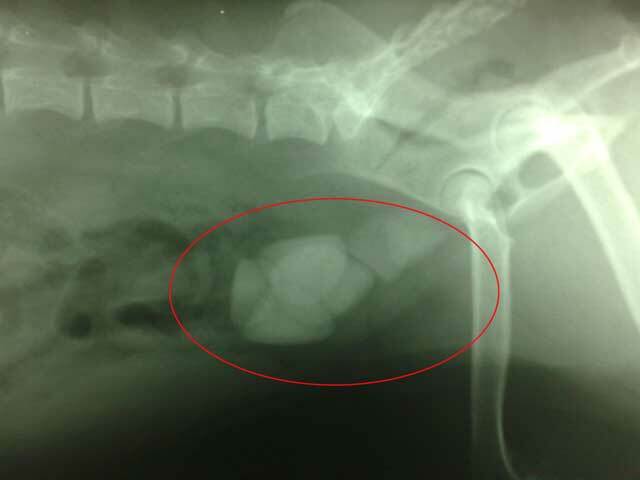 If your animal is prone to urolithiasis, dietary management can help with prevention of certain types of stone formation, for example, calcium oxalate stones (although, ironically, these cannot be dissolved by dietary methods). The risk of recurrence of urolithiasis is high; around twenty to fifty percent. If your pet responds poorly to treatment, there may be a possible underlying disease that should be investigated. Urolithiasis is difficult to prevent.  You may help by ensuring that your pet has a constant source of fresh, clean water, a high protein diet, frequent opportunities to urinate and maintains a lean body weight. Dietary management may help to prevent reoccurrence, depending on the type of stone. Prompt treatment of urinary tract infections may also help. Just like humans, dogs and cats can develop uroliths, or mineral formations, in the urinary tract. Urolithiasis can cause irritation, infection, pain and obstruction of the flow of urine. There are different treatments for different types of stones – some can be dissolved, while others must be surgically removed.  After analysing the urine or stone sample, your vet will determine the correct treatment protocol for the type of stone. Optimal treatment requires professional care from your vet, as well as special home care. It is important to carry out treatment protocols exactly as directed. Follow-up visits to the vet are essential. If left untreated, stones can cause a blockage which could be fatal, therefore early identification is crucial. Be aware of the symptoms and monitor your pet’s urine patterns, and always contact your vet if you have any concerns. Early detection when the stones are small might make the difference between surgical and non-surgical intervention. Very importantly for both management and prevention of urolithiasis, always keep your pet well hydrated.